I have been asked by CRS to put together of a list of questions everyone has about 1.36 and the Brigade Flag System/ Garrison System Xoom mentioned in his Friday update of November 10. These questions are to solely communicate the future for the HC/Squad and Equipment Flag/Garrisons for the future. Please keep the questions to this and I will try to organize this and get responses. Please keep it to this dynamic of the game, as I will not be covering new equipment etc. I also am trying to give CRS the Player's pulse so to speak. Please keep the debates in this topic to a minimum so I can organize the questions etc. ﻿﻿Hows the progress for 1.36? When are we going to see it live? How serious is the team about critical mass, EWS or player-base triggered AOs? We are very serious about the EWS / player triggered Attack Objectives. We think it's really essential to make sure that the leaders who can inspire others to do great things are rewarded with having the ability to move troops accordingly. If we do get player-base triggered AOs, will HC retain at least one place-able AO to influence the game? We have not considered this, a bit too early to say for sure. However we can say that we are trying to give control back to the players to dictate the direction of the game as we feel HC at this stage has a little too much control on things and have the ability to remove fun for the sake of strategy that some players do not understand or wish to participate in. Because our game is on a massive scale (not lobbies) we have to think about every situation where players entertainment are affected. Will Allied Side be 2/3 Seperate personas? Or will be combined as the Italians will be with Axis? One of the most complicated factors of this whole redo with 1.36 is considering the Allied supply. We will very unlikely be splitting them up in anyway. Some early discussion both internally and with the community alluded to this being a bad idea. So what we'd be looking to do is allowing the Allied HC to have the ability to change town-ownership via right clicking a town and going to their HC Options. Certain parameters being applied to that of course, such as a cool down from a recent attack or from a current attack preventing that swap-supply capability. More internal discussion to be had on this. How will this effect the influence of high command? Can the town Supply launch attacks? And could these be launched via the player base? So about that "promotion from the bottom" thing. Are you saying that people can get access to an HC position through recommendations, or do they get promoted by higher ranks from an officer position in brigades all the way to HC standings? The hybrid supply system (I'd call it that) will solve many issues. First, no, it will not require HC online 24/7, which is the primary goal. Second, because all frontline and one rear town adjacent to the frontline will have supply in it (referred to as garrison supply), we can see the player base having a fighting chance routinely against an opposing offensive... so there is a fighting chance, ALWAYS. Third, with our AO plan (proximity based) we give freedom back to the players and their most followed leadership to produce organic outcomes. Fourth, the role of HC is still important because THEY will be charged with moving supplement brigade supply (not nearly as overpowering as it is today) but still enough to help punch a hole in the lines and create some dynamic game play. Will each town have a limited supply that’s tied to flags? Or to the town itself? It will be tied to the town itself. Every frontline town (A) will have its supply "activated," every town one link to its rear (B) (adjacent) will also have its supply, "activated." Then as the line moves in what ever direction it goes, that previous frontline town (A) will then become deactivated, the previously adjacent town (B) then becomes the frontline, and a new set of adjacent supply that was previously deactivated now becomes activated. So it will be a constant state of activating / deactivating supply based on how the map moves. How will supply be distributed to towns? We're trying to base it on the town itself, and we are discussing having differentiating supply based on the town size. We also want to be careful with that though. Previously CRS distributed supply according to the total number of Army Bases in a town, and we're not sure if we're going to do that. We still have some investigation to do here from a technical POV about what will work best to implement and keep the game healthy. Will every port have a contingent of naval infantry supply? Yes, every single one across the map. Will each AF have a contingent of air infantry? Will every AF and port town have naval/air infantry boat plane supply, regardless of the 2 town front-line range? What will the ratio of town supply to flag supply be? Will towns have more supply than flags, equal? or less? This has not yet been determined. Remember, flags are only going to be move-able, supplemental supply however. Will squads be given a flag to use for themselves? What about a custom option where squads could get their own flag? On the first iteration of 1.36, this does not seem likely. We are interested in gathering feedback and exploring ideas on how to make this best work however (not a completely closed topic). However again, this will not be the case on round 1. Will Kiev and Brest be made deep water ports? Depends on our movement with the Terrain Editor, too early to say at this stage. We want to expand quite a bit though and this possibility is growing by the day now. Will we be able to transport supply between towns like before but without moving brigades? YES! Overstocking supply is a core component to the design of 1.36. Will you be able to drive armor from 2 towns back to over stack towns for future attacks? Will the speed at which new hybrid flags be looked at and made more realistically represented in their movements? Will Flags be unable to move into contested towns? If flags cannot move into contested towns will we then be able to only spawn in supply from the back-line into the linking CP like Spawn Captures do on attacks now? Again we're not quite prepared to discuss the fine details here. We are considering opening up rear forward bases to your linking towns though as a way for defenders to have a better fighting chance and to make sure we do not clog everyone into the town itself. The movement of flags in terms of initiating the command to do so will likely be as it is today, right clicking on the map or any supporting .commands currently available. Expanding or modifying that functionality isn't necessary at this stage. What will be the routed flags mechanic? It will be as we know it today. It will go to training. What happens to routed garrisoned supply? This will be hard to do but it will be possible, and the garrisoned towns will start collapsing much like we see it today. Instead of seeing it route to training, you will see the supply simply deactivate because it'll be attached to that town. And as explained previously there will always be a Frontline and Adjacent Rear Supply available, those will ping active vs inactive accordingly however deep that pocket may go, according to the parameters of that function. If a garrisoned supply town is taken and no flag is moved in, how long will it take to resupply with the victors equipment? We intentionally want there to be a little bit of a delay when a town is taken. And there will be something in place to prevent the rapid deployment of flags into said town. So the town will take a little time to "activate" garrison supply, and will take a little bit before a brigade flag can be popped in it. The goal here is to have players work to secure their gains and keep the fight alive, instead of just automatically dying off and players standing around wondering what to do next. It will be unbiased and work the same for both sides, details to follow at a later time. If re-garrisoning with the opposing sides equipment is time related and not instant, will it be tied to factory production rates? There will be some tie-in to the factory production rates but the fine details cannot be answered quite yet. What we can say for sure is, the town will not instantly have fresh supply once retaken. It will be capable of remembering where it was at, and I foresee the resupply timers being frozen until said town is retaken. ~ That will require more internal discussion though, great question. Same questions regarding garrisoned supply if a side repels an attack. Will it take time and will it be tied to factory production? Will there be an HQ supply flag and how will it behave or what are it's mechanics in 1.36? Flag supply will be invisible from your eye until you see it actually on top of a town. Then in your town you'll see the supply being available and actually boosting your current numbers that were there previously. It would be cool to have different capabilities per division, kind of like the HQ and Armor units vs the Infantry units so HC can determine what they want more of. You can expect the UI navigation (Brigade Roster) to be gone though, the future of accessing this supply will be via accessing a certain towns supply only. How will supply be rationed in a town with multiple Allied ownership? Quite possibly one of the toughest questions in this entire design. Right now we want only one country to own a specific town, and allow the HC to change the ownership of that town to a different country once the area is cooled down. That will keep things more simplified and still prevent the old days of British vs French (N v S) issues that arose. If a town is captured, and later retaken, will it have full supply immediately or will supply trickle in? At what rate? It will trickle in, the rate will probably follow current day RDP timers. It will most certainly NOT have immediate full supply. Will hybrid flags be able to move around independently of 1 another? Would make HC job 95% easier. Aka no sister brg needed in/next to town. If we do not have them designed as divisions, yes we can make them independent flags. This may be very advantageous. Will we be able to set fallback of flags with ".ne brigade town" type of command? We could, or we could make it so that they just fall back automatically and reduce the need for HC to babysit them and prevent them from falling back too much and going straight to training. Which I personally like better and think it would be better for all of our players. Will hybrid flags remove link between orbat and supply? There will be garrison supply as described and supplemental move-able flags. The hybrid part refers to the "Hybrid Supply System," which means there's a combination of static supply at towns that are not move-able, and then there are flags which can be moved. Garrison supply and Flag supply are entirely different. Flag supply moves independently however HC wishes, and they bolster Garrison (town) supply by what ever values (supply numbers) we assign to the flag(s). This of course does not interfere with or effect overstocking, though depending on how crazy the players get we may have to set some sort of overstocking limitations, unless we want 300 Panzers rolling onto a town... though that does sound pretty cool . Is there going to be any ability to make the garrison or flag supply automatically scale-able to population numbers? Automatically? Not sure. But it is something that we'll be able to modify as needed. Will the work that is being done on the HE and ballistics audit be included with 1.36 or sooner? It will be placed into the game prior to 1.36. We're making really great progress here and we know that it's taking a little bit of time. This is a pretty difficult task because it touches every munition, explosive and non, in the game. Getting it accurate and to perform to historical properties is no easy task and it will really improve how the game plays. Will the volunteer oic function be enabled? Will there be an override function for HC to kick an oic who goes afk? The volunteer OIC function will be enabled, yes. You should be able to remove that OIC right now in-game so there's no reason for us to assume that won't be possible. Will AHC have some control over which countries are garrisoned in towns immediately after capture? Yes we're planning to allow, upon capture, for the AHC to determine the ownership of a town immediately after capture. More to follow on this. Our developers will need to dig into this further to talk more about it, at the moment it's a wishlist item for the design. So in the future the only way into HC will be if you in a squad? No, but the squads will have a lot to do with HC officer placement, likely in the form of voting. We think this will be important because players want to follow certain leadership that appeals to them. Assuming all pop-triggered AOs, will it be possible for an entirely defensive/underpop/no FB side to not have an AO? There will never be a time when either side does not have at least one Attack Objective available. Will AOs automatically drop when local pop drops below the trigger point? The AO functionality that we currently have in place, will remain the same upon roll out. Will AO counts drop with overall pop, or just by local trigger? Initially, most likely what we currently have, which is the underpopulated side's current population count. Can a side have more AOs with more people on the attack then an equally popped side more on defense? The number of AO's being available should be neutral and fair, meaning equal. We do not want to create imbalances or make the defending team have to work any harder than they already do. Can a side have more AOs period because they are overpop and therefore can trigger more AOs? See previous answers, short answer: No. What countermeasures will there be to stop deliberate misplacement of AOs by squads or players switching sides? Veto mechanism. HC's will still have to follow the articles of conduct, and there will be a central command hub as similar to today's High Command that will work as the direct managers of the overall HC program. CRS Game and Community Management will also be involved as needed. Regarding proximity/population AOs... Will they be only to front or the next rear town? If they are activated on a town three town back when say paras load up and land, it'd be a softcap, right? They will be regulated to the frontline only, we do not want multiple town's deep being hot, not without serious consideration and testing. That sounds like it would be counter productive to the mission of 1.36. In terms of AO's being available and how it will work, the number of AO's being available is based on the underpopulated sides CURRENT population. Activating that AO is proximity based, so it'd be within X range of the town, with X amount of players. Are we looking at some sort of population based AO? Has that been in some update that I have missed? My answers above should answer this clearly. How many flags will there be? Undetermined at this time. Enough for flexibility and variety, not enough to be overpowering. Will there still be a differing back/front movement timers? Yes, and there may be timers before garrison supply gets activated in the town. The idea here is to require a "secure your gains" type approach. Will there be any stacking limits? Yes. Remember as well, these new flags, will not be as mighty and game changing as they are today. Will there be any new risks/rewards associated with flags being frontline? We have a couple of considerations on the ideas table, we'd welcome more feedback and suggestions from the community. Will routed flags still be able to reappear anywhere on the map with no warning? Sort of... we can actually create some sort of notification letting you guys know when opposing supply is available to be moved out of training. That'd be a chat message coming across your normal chat bar most likely. Subtle, but it'd do the job. Will garrisons contain the full spectrum of available supply? I would say yes, likely. Could there be a variety of garrison types to choose from? Set by HC, a defensive or attacking line up perhaps? Likely not during initial roll out, but more discussion could result into considerations. If the Allies lose ground, what determines what country will be garrisoned as the 2-town deep garrison line changes? Well you can change your ownership of towns before it gets to that point. But assuming no one is doing that, we'd probably just determine who the owner was to the linking town as it falls back. How quickly will newly garrisoned towns generate their supply lists? We'll want to do some testing and get some feedback, but the trickle in rate that we have today will likely be the starting point. Is there a hard limit on the percentage of French/British/American garrisons? Unprepared to answer this today. With the way the tiers work, we need to think about this pretty carefully. Will Airforce and Navy brigades remain, or is their supply being completely switched to town-based? At this point in time, we think with every Air Field and Naval Dock (including deep water port) having supply, this is great in allowing more supply to be available. Truthfully, while these are important supporting branches, they do not directly cause any massive alteration in front-line battle. If we can keep the pilots and sailors supplied and happy without destroying the ground game, then I think we did our job well. If Airforce and Navy are moving to town-supply, then how will the multiple Allied countries affect Airfields and Docks? Will Airfields/Docks have a blended list from all the countries, or will they be country specific? If they are country specific, will they be transferable from one country to another? Unprepared to answer this one today, good question. How does Allied Air/Naval supply work? Totally up to AHC? Limits? Tied to who owns the town? At this time it'd be tied to who owns the town. Can town supply be used to restock/overstock movable brigades? No. Brigades are going to be supplemental and independent, garrison supply will be the primary hub of supply. Do you know the coming spawn list and rules of the town garrisons and HC brigades? Not a good time to cover this right now, very preliminary and it's going to require a lot of testing and review. How will movement of these flags be timed? When a back line Town becomes supply garrison how long before it reaches full supply? Not prepared to discuss timers today. But when talking about Garrison Supply, I wouldn't mention flags anymore, because flags are typically referred to as Brigades. Brigade (Flag) supply and movement timers will be independent of the Garrison Supply and activation / deactivation timers fyi. Rats, will town supply drop when the AB is taken, and will depots open up to use linking town supply? We're not sure of that just yet. Have you considered a more fluid Corps level command - a few backline flags that issues supply for towns within a certain distance around it? No this has not been considered. How will it work? Is it Garrisons can only overstock Garrisons? Can Garrisons overstock Flags? Can Flags overstock Garrisons? Can you create a juggernaut supply given enough time? Garrisons will likely only be able to stock garrisons, yes. Brigade supply will likely be as we know it today. With is juggernaut supply =D? HC will have power of veto over population-based AOs? Very unlikely. Our mission is to give control of AO's back to the players. I am still thinking on the total number of AO's available and exactly how we'll go about doing this. I realize the shock factor at play for some of our HC wondering if they will have much to do when all this comes. My answer to that would be, YES, there's plenty to do, but different stuff. Rather than controlling where players go, you'll be working to cultivate great community relations and motivate people to do things and serve them, rather than "direct" and "control" them. Hows the progress for 1.36? When are we going to see it live? How will this effect the influence of high command. Will each town have a limited supply that’s tied to flags? Or to the town itself. A town with limited supplies garrisoned could repel a small invasion. Or maybe launch a small attack.. And could these be launched via the player base ? Will there be any rearguard flags? To respond to enemy air raids, against interception of supplies, sabotage, etc. in the deep rear? How will supply be distributed to towns? I see 3 obvious scenarios. 1) Every town has exactly the same supply. 2) Each town has supply based on ABs - 1 AB, 1 unit of supply, 2 ABs, 2 units of supply. 3) Each town has supply based on ABs, but isn't so dramatic of change... 1 AB, 2 units of supply, 2 ABs 3 units of supply, etc. Option 1 seems a bit silly, big towns should have more supply, but, option 2 means big towns have way more supply. So, I'm thinking of something based on option 3 makes most sense. Next question, will every port have a contingent of naval infantry supply? Say a platoon or 2, or more? Next question, will each AF have a contingent of air infantry? Say a platoon or 2 or more? Will every AF and port town have naval/air infantry boat plane supply, regardless of the 2 town frontline range? Finally, will squads be given a flag to use for themselves? and if not, what about a custom option where squads could get their own flag? And last, will Kiel (not Kiev!) and Brest be made deep water ports? Will there be parachuting dogs? How real is this, I mean how solid is the concept is it being fleshed out or Is it a work in progress? I guess what I’m trying to get out should I start paying attention? Or wait another month or two and look back in to see if it’s anywhere near done and then start paying attention? Can we get armored trains? Thank you for taking the time to organize our questions, thoughts and reviewing our suggestions about 1.36. Q: Will the speed at which new hybrid flags be looked at and made more realistically represented in their movements? Q: Will Flags be unable to move into contested towns? Q & T: If flags cannot move into contested towns will we then be able to only spawn in supply from the back-line into the linking CP like Spawn Captures do on attacks now? Q: Will the offensive or passive (not routed) movement of flags be more organic using a command vehicle mechanic? T: Instead of by a .command. Q: What will be the routed flags mechanic? T: Fallback to the back-line linking town(s). Q: What happens to routed garrisoned supply? T: Forfeited as surrendered. Q: If a garrisoned supply town is taken and no flag is moved in, how long will it take to resupply with the victors equipment? Q: If re-garrisoning with the opposing sides equipment is time related and not instant, will it be tied to factory production rates? T: Same questions regarding garrisoned supply if a side repels an attack. Q: Will it take time and will it be tied to factory production? Q: Will there be an HQ supply flag and how will it behave or what are it's mechanics in 1.36? Q: How serious is the team about critical mass, EWS or player-base triggered AOs? T: I really like this idea. Q: If we do get player-base triggered AOs, will HC retain at least one place-able AO to influence the game? T: This would require a minimum of 2 AOs always available to be placed or triggered. I apologize for my plethora of questions. Thanks again. If possible, how will supply be rationed in a town with multiple Allied ownership? Surely you meant "Kiel" and not "Kiev"? Otherwise, that is gonna be one heckuva long canal, from the Ukraine to the Baltic/North Sea. So is your question will AOs remain? That used to be funny.........were at the point where it needs to be true. The present system In theory works to focus all the players into a few fights so that those fights are populated, In theory. Q: If a town is captured, and later retaken, will it have full supply immediately or will supply trickle in? At what rate? T: If there is a trickled supply once a town is captured, by either an attack or counter attack, I'd hope for near instant , (like if you just capped spawn,) supply in the linking depot first, and then in the AB from lightest to heaviest, or at least mobility based -to simulate having to pack up a brigade and drive the distance from the rear town. I would also encourage creating a FB from the rear friendly town so that heavier stuff can spawn nearer and come into town more organically while a town is recuperating from having just been fought over. Q: Will the Axis get a scout car that can actually kill an Allied medium tank? T: It's important to balance mobility into the equation here when deciding on spawn lists. Q: Can truck audio be looked at? 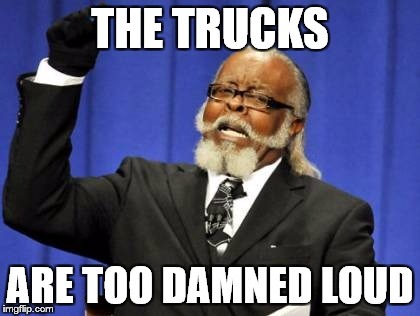 T: Trucks are so darned loud. Why? We are actually. A lot of the underlying work was done, or nearly done when .36 was paused to focus on steam fielding and post fielding issues. There is still a bit to though. I'm secretly hoping that they've got most everything ready regarding new models, some fixes and the HE/KE audit and are saving it up for a big update around XMas, if not XMas morning. I get the feeling that it's sooner than later this time.